This is a really lovely story. And it looks like the two scotties are best friends. What a great Scottie Mom you are. 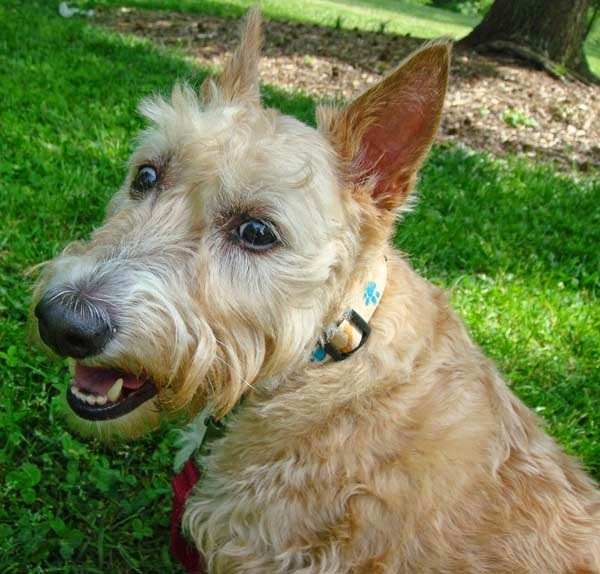 Hootie says: Heather would be beautiful in any collar, regardless of the print! 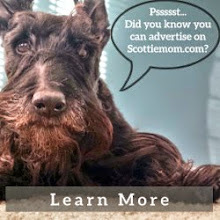 And you are a wonderful Scottie Mom. You certainly do love your babies! I knew it the moment SHE took HIS seat in your car... aaAARRRrroooOOOoo! Love your stories..!! 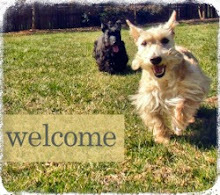 it is nice to share something in common around the world: Our love for our Scottie angels !!!!!!!!!!!!!!!!!!!!! Sophia and I have a heart for Rescue dogs. I'm a rescue and we added Kaci a week ago. She was in a kill shelter for a while and we're still working things out. Kaci is reverse housebroken-you can take her outside for 15 minutes but she barely makes it inside before she goes-she's been holding it.